Yep. "I felt the bullet go deep in my chest." And speaking of music, "Baby Blue" was perfect for the outro. "I guess I got what I deserved..." I forgot how much I liked that song, and although I'm not much of a fan of 70's pop, I picked it up. Apparently I'm not the only one... it sounds like it's going to chart again, 41 years later. It's also an anagram for 'Finale', which I thought was cool. yes, typo. sorry was writing it and thinking about one of the other postings on Hank. I would have liked the finale to be a little more drawn out but they did tie everything up nicely. We thought Lost was a bit better overall but Lost had a really lame ending, like they didn't think the series through very well and had to come up with something. I thought Lydia was hot. I didn’t watch the show when it was out. I spent the last 2 months watching on Netflix, including a 7 episode marathon two nights ago to finish up. The true losers, Hank, Marie, and the kids, for obvious reasons. 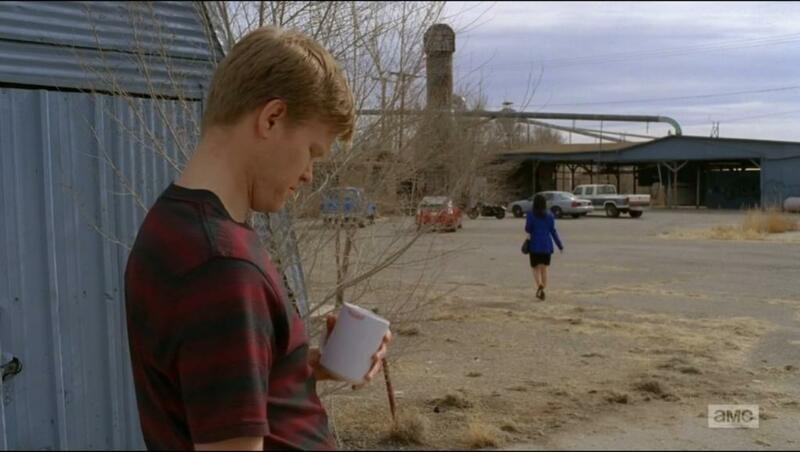 Jesse as well, he has a good heart, just had an addiction problem, but he was completely taken advantage of by Walt. 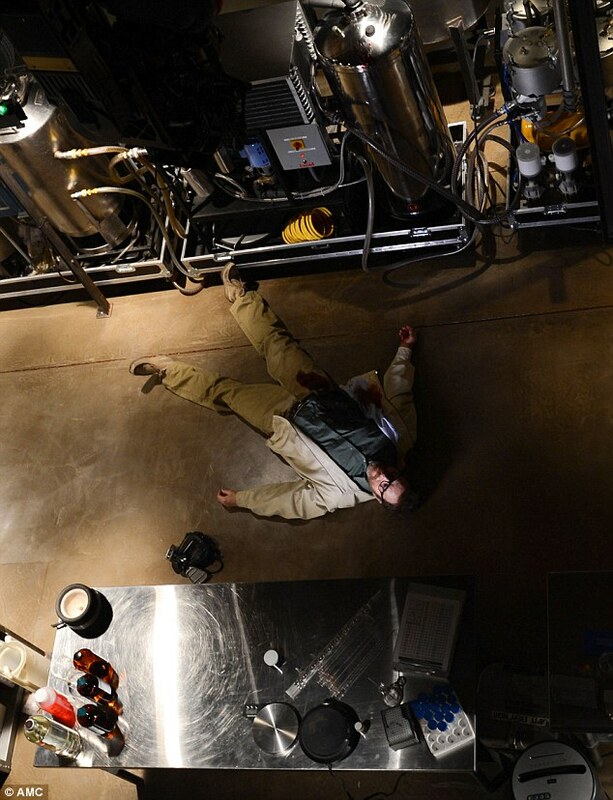 Walt was a totally A-hole and needed to die. Did we ever find out the reason behind the falling out of Schwartz and Walt? I missed it, if it was explained. There is much debate on this but the bottom line is that we don't really know whether or not he died right there. I like to think that he didn't die, because he was walking around for quite some time after getting shot and the police showed up right after he fell down. My theory on what might have happened had the episode continued: he was taken to the hospital, patched up, started to go through the legal process but died from his cancer before spending much time in jail. The entire final season was just an extended dream sequence. My wife and I just finished our BB marathon last night. What an awesome show. My wife and I marathon watched the entire series during the gubbermint shutdown. At the end of one of the shows, I thought that it must have really sucked to have to wait a week for the next one. And how on earth could you wait between seasons? It truly is the only way to watch that show. The advantage of binge watching is a more continuous narrative. Even one a day means you have the previous details fresher in your mind. The advantage of watching weekly is that you can participate in the discussion (or just read others ideas) of each episode between episodes. Get other takes, start to look for other themes, and generally get more entertainment total from engaging in those discussions. Plus anticipation tends to heighten enjoyment for many things. Plus you don't have to worry about running across spoilers that way. Both are good, in different ways. I think we watched the whole series over about six or 8 weeks. We did the same with Lost. I think I prefer watching shows binge-style over waiting every week. It probably has as much to do with continuity as it does with the fact we don't have cable and shows that we get with our antenna don't interest me much. Plus you don't have to worry about running across spoilers that way. NO KIDDING! It was all I could do to keep myself from reading the more "recent" posts on this thread yesterday before going home and watching the final episode. I binge watched it well after the fact too. I couldn't believe how great it was. Lots of great writing but the character Hank was just brilliant how he came off as a typical meat head but at the same time was brilliant. Not a ton of comic relief but Skinny Pete and Badger were really classic in that area.